The new RCA Cransistor Manual, the SC-12, has been expanded by more than 20 per cent from previous editions. This new 480 page manual covers many new semiconductor devices and applications, a streamlined data section with more extensive data on active transistors, up-to-date transistor selection charts, and information on mounting hardware, mil-spec transistors and circuits. In addition, the SC-12 contains 145 pages of text which has been written to bring the reader up to dale on the latest semiconductor technology and applications. Included is a completely new chapter on MOS field effect transistors, as well as information on transistor frequency converters, rf power amplifiers, detection circuits, power switching circuits and TV sync and deflection circuits. I ie circuits section lias been revised to include more than 10 transistor circuits, complete with parts lists. Copies of this new manual may be obtained from RCA Distributors or by sending SI.50 to Commercial Engineering, RCA Electronic Components and Devices, Harrison, New Jersey 07029. This book is just what the doctor ordered for the ham who builds His own gear, George U Ritchie, the author, has had many years of experience teaching electronics construction at San Jose City College in California, so he is well qualified to point out many of the subtleties of building electronics equipment. This book is not just a wiring and soldering manual, but includes details on electronics drafting, bending and forming all types of chassis, making printed circuit boards, mounting components and using all types of tools, including the lathe. If you have ever tried to make up your own chassis and didn't know exactly where to start, this book will tell you; and after the chassis is made, you can find compete details on how to finish it whether it 3e paint, anodize or alodine. Although most of the author's construction techniques are based on the use of metal brakes, shears and punches, with a little ingenuity the average ham can duplicate any of these procedures with a pair of aviation snips and a couple of hardwood boards damped in a bench vise. $4.95 from your local bookstore or through the publisher, Holt, Rinehart and Winston, Inc., 383 Madison Avenue, New York, New York 10017. Here is an easy-to-use reference for amateurs and technicians interested in transistor circuitry. 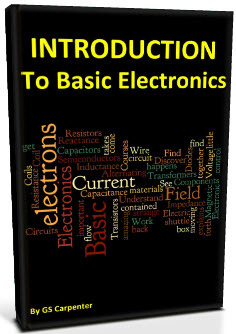 Except for the first chapters of the book which discuss basic semiconductor physics, this book is completely practical in nature and John J. Corning, the author, presents an easy-to-read approach to all types of transistor circuit design. Unlike many books which were written with only the professional design engineer in mind, all you need is a knowledge of algebra and basic electrical circuits to successfully use this book. The author discusses dc bias techniques at great length, and then thoroughly covers low frequency (audio) amplifiers, large signal amplifiers, high-frequency amplifiers, oscillators, pulse circuits and power supplies. In each of these discussions, the operation of each of the circuits is completely analyzed and complete details are provided. In addition, the effect of different component values, particularly bypass and coupling capacitors, is described in detail. All in all this book is a very complete manual of transistor circuit design that should appeal to anyone interested in designing their own transistor circuits. Available from your local bookstore or write to the publisher, Prentice-Hall, Inc., Englewood Cliffs, New Jersey. Since the FCC has revised its requirements for the First-Class Phone license to include a thorough understanding of semiconductors and their circuit applications, a new license manual which covers these facets oi electronics has been sorelv needed, Edward M, Noll's First-Class Radiotelephone License HUindbook not only fills this need, but also explains the practical skills and know-how the technician or amateur must have as a qualified broadcast technician or engineer. Although this book contains a comprehensive quest ion-and-an-swer section, it is far more than an exam preparation manual and includes chapters on all phases of radio communications. Copies are available for $4.95 from your electronics parts distributor or from the publisher, Howard W. Sams & Co., Itic.7 4300 West 62nd Street, Indianapolis, Indiana 46206. The fifth edition of Allied s popular Electronics Data Handbook has been revised and enlarged to include new and up-dated material for use in electronics- This handy little reference book has sections on electronics math, radio and electronic formulas, transmission lines, vacuum tubes, transistors and 70-volt speaker matching systems. Included are attenuator networks, coil winding iormulas, wire table, charts for inductance, capacitance and resistance* metric conversions, logarithms, trigonometric functions, and much more. All of the material in the handbook was compiled with the cooperation of technical specialists on the staffs of electronics manufacturers and publishing houses, so it contains just about all the reference material ever needed in the ham workshop. This new handbook is available for 75 cents from Allied Radio Corp., 100 N. Western, Chicago, Illinois 60680.